At the Football observer course the LFScouting Software will be the support tool. 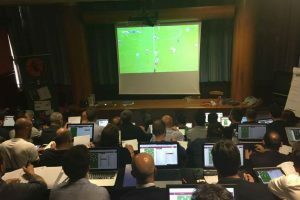 The new football observer course that will take off on May 2nd, 2018 in Coverciano, is to be joined as a technological partner by LFScouting. The training program will be developed in 72 hours of lessons, a period in which you will be able to use the next generation LFS software: a single and large database that allows any operator to enclose all data related to the activity of Scouting. The application allows the football observer to optimize the analysis of players observed, carded or assisted through a simple connection to the Internet, but even in the absence of a network you can continue to operate within the software And then update the data to the first available signal. The same, once entered, can be consulted at any time by the football observer or by several persons of the same working group. The latest generation design chosen for LFScouting allows you to manage your work even with a simple tablet through the touch screen system. All this, in addition to providing easy access to the functions, allows the football observer to be able to move anywhere and anytime. Also, with the advanced drag function you can also position the players within the playing field. 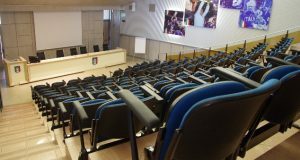 The lessons of the Football observer course will be held in the classrooms of the Federal Technical Centre for a period of three weeks, with the course ending on the day of Wednesday, May 16, 2018. The qualification will be obtained after passing a series of practical tests also through the use of specialized software. To be able to participate, however, you must already have a title as a coach, with the registration of technicians in the technical field. It is recalled that on 24 April 2018 will be the deadline to submit your application for admission. Download the Observer course notice for the Application form admission to the course. This entry was posted in LFScouting, News and tagged Coverciano, Football Observer, Observer, Scout, Technical sector. Bookmark the permalink.